Ride for a total of 6 hours over two weeks to receive 35% off Veloforte's finest natural nutrition! It's beautiful out there! As the leaves fall and the season changes, now is the perfect time to make the most of the cycling form you've built up this year. It may get a little muddy, but there's still a little glimmer of Summer, so let's ride... chase your segments and chase the late sun. Go! 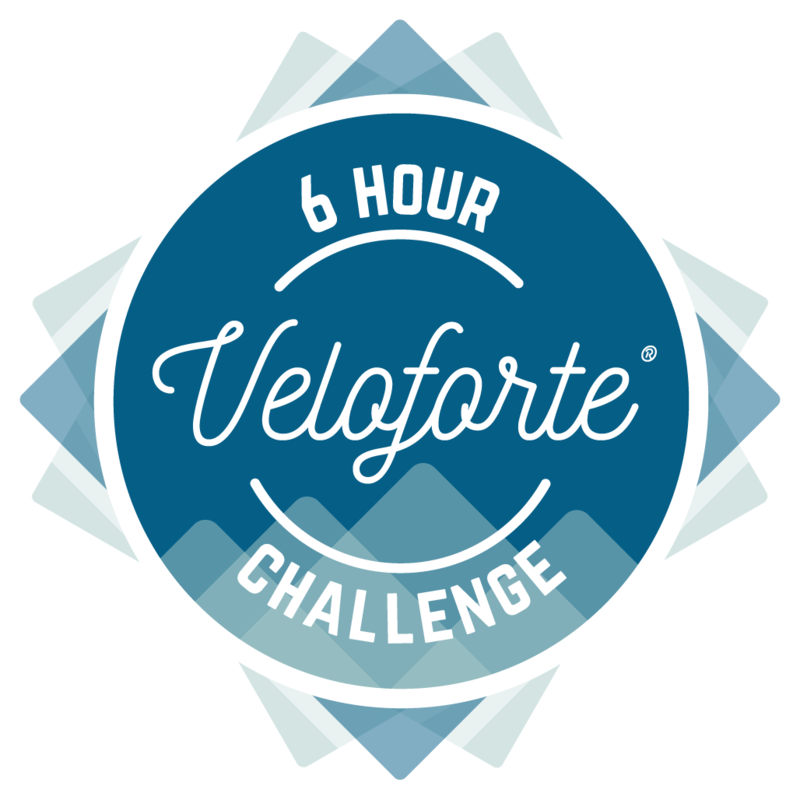 Accumulate 6 hours on the bike (from as few or as many rides as you'd like) from November 2-15 to unlock a unique digital finisher's badge and 35% off to use at veloforte.cc. Got a long ride planned? Record a single activity of 4 hours or more en route to completing the challenge, and you'll be entered to win an incredible box of 100 Veloforte Bars of your choice worth £250! And there's more: each day across Instagram, Facebook, and Twitter, Veloforte will be giving away packs of their award-winning natural, powerful and delicious nutrition. Make sure you follow Veloforte on your favourite stream and use #veloforte6hr for your chance to win. Based on an ancient Italian fortifier, originally carried by the Roman Legions, Veloforte's 100% natural products are created to help you #fuelbetter. Join the challenge and the Veloforte Strava Club, then get riding! You can opt-in to win three types of prizes! 1) Complete the 6 hours to earn 35% off at veloforte.cc, plus free UK delivery, valid on any order. 2) Complete the challenge and a single activity of 4 or more hours, and you'll be entered to win 100 Veloforte bars of your choice! 3) Throughout the challenge post your best ride pics on Instagram, Facebook, or Twitter using #veloforte6hr and you'll be entered to win special packs of nutrition! You can enter every day, but be sure to follow Veloforte on your favourite social stream to qualify! After completion of the challenge, you'll receive an email from Strava with a link to redeem your reward. Pedal to receive 35% off natural and powerful nutrition products from Veloforte! To learn more about how to use Strava, please visit the Strava Support Center or email support@strava.com. All other inquiries should be directed to Veloforte. Prize eligibility and fulfillment is at the sole discretion of Veloforte. 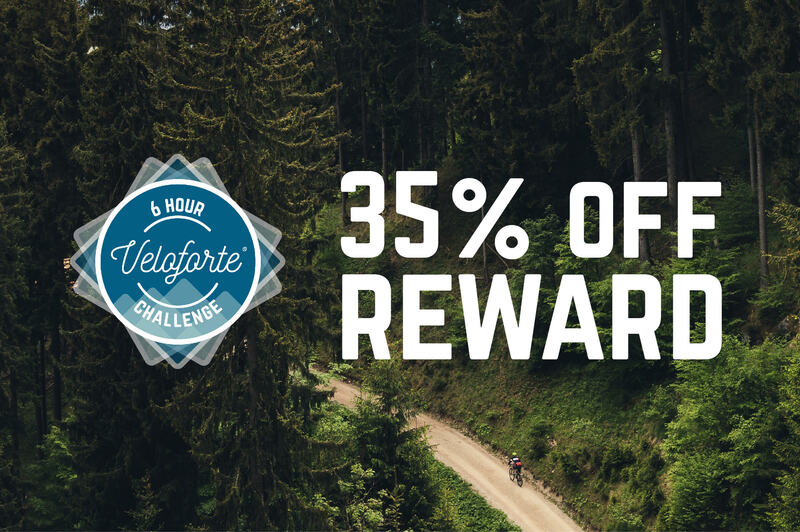 Upon completion of the challenge, each finisher will be eligible for a 35% off Discount Voucher Reward, which can be redeemed only at veloforte.cc - there is no minimum spend. Challenge finishers will receive an email containing a link to a page on the Veloforte website. Users will be required to enter their details to receive their Veloforte Discount Reward and sweepstakes entry. All entrants must be over 18 years old and must abide by the competition Terms & Conditions, available here: https://veloforte.cc/pages/strava.